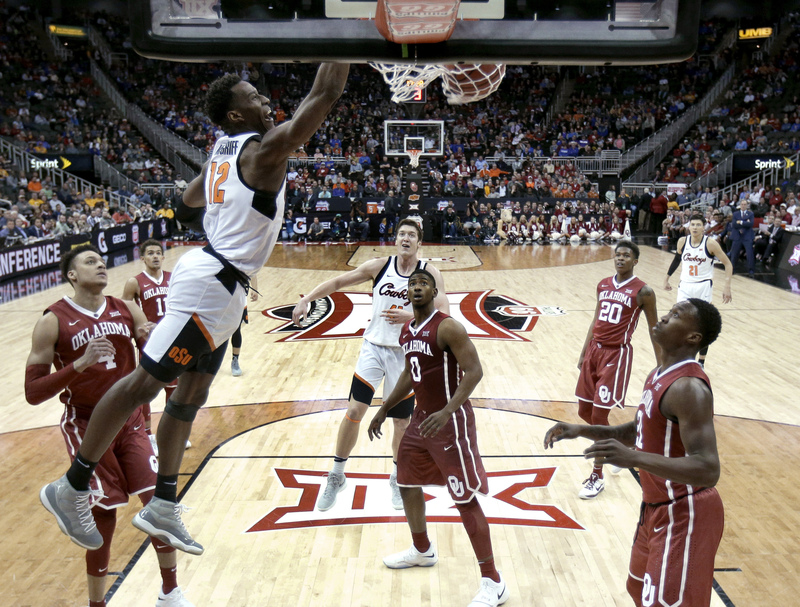 STILLWATER – When the Oklahoma State men’s basketball team took the maple floors of its practice gym Monday, Michael Weathers wasn’t there. Cowboy coach Mike Boynton suspended the redshirt sophomore guard from team activities after he was arrested and charged with grand larceny. The incident stems from a situation at a Stillwater bar in early September. Weathers made his initial appearance in court Monday morning, and he has another date scheduled for Nov. 5 at 10 a.m., which is five days before OSU’s season opener. The transfer from Miami (Ohio) was expected to be a key contributor this season. At this point, there’s no indication as to when or if he could return. “I don’t know when or if to expect him back,” Boynton said. “Obviously, it’s an ongoing process. I’ll just say this and I’ll leave it there: Certainly disappointed in that he would put himself in the position to affect not only his own self but someone else, our team, the university. Out of all the Cowboy freshman who will make appearances this season, Kentrevious Jones will have changed the most from when he stepped on campus to tipoff. When Boynton recruited Jones, he told the center there would be big changes in his life, most notably his weight. Since he arrived on campus, Jones has lost 52 pounds. Boynton agreed with Waters, saying his weight loss equates to a “big kid.” Boynton challenged Jones during recruiting, and it paid off. “I’d be lying if I told you I thought he’d be 50 pounds down already,” Boynton said. Near the entrance of the practice gym, a basketball rack with flashing red and green lights awaited players to join practice. The balls were charging, as they are a part of new technology OSU is using to track shots. Along with a clip on player’s shoes, there are scattered sensors on the ceiling of the practice gym that helps track the player’s shots. The technology is pivotal for players and coaches. When discussing freshman who have made an impact from a leadership standpoint early on, one name stands out. The Mansfield, Texas, native has shown his capabilities to be a vocal leader early, drawing respect from his veteran teammates. Junior forward Cameron McGriff said his ability to lead by example early on will help him and the team throughout the season. The Cowboys’ exhibition against Ouachita Baptist is Nov. 4, and their season opener at Charlotte is Saturday, Nov. 10. OSU’s home opener is Wednesday, Nov. 14 against The University of Texas at San Antonio.